asked to by friends, family or random people in the street. or unless I’m in a new country, city, fabric shop, market, charity shop that I’ve never been to before. Whilst Kenya is not technically a new country for me (I’ve been here many times now for work) I think these count as new fabric shops I’ve never been to before. I’ll introduce you to the 2 new-to-me fabric shops. The first is called Fatima. The location is rather nice though it can be tricky to find. You’re best off just sitting down in your hotel having a cup of tea and waiting for it to come to you. Which is exactly what I did. 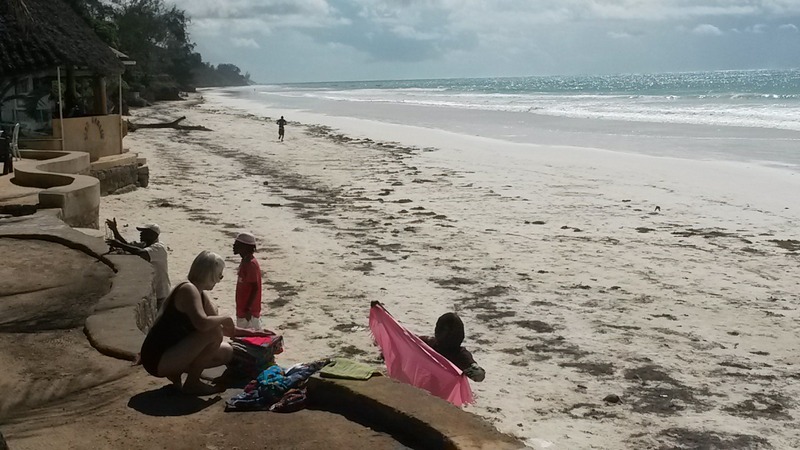 There used to be lots of fabric ladies working this beach but due to the heightened security risk in Kenya the last couple of years the number of tourists coming here has seriously dropped. High season starts next month and most of the hotels are still closed for works but the people I’ve spoken to still don’t have much hope for a busy season. Last week the British Foreign Office downgraded this area of the coast for security but it may take some time for the holiday makers to return. This time round there appears to be only 1 fabric lady working this end of the beach which is Fatima. She comes along the beach at about 11am with a large bulging rice sack. The trick with hawkers in Kenya is not to act too keen. So on Sunday when she came along I acted all nonchalant and pretended not to be interested in her massive bag of fabric that she was waving at me. It tool all my almost non-existant will power to resist. But then came today……. She waved some particularly nice kanga’s at me (Kenyan wraps). 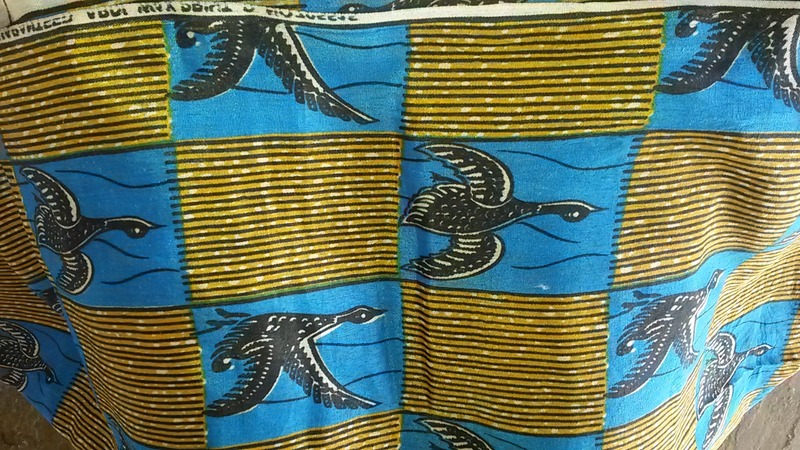 So I may have bought 2 kangas and 1 kitenge but it is all within the rules of my pledge! Then there was the other fabric shop – Hamid Baccari’s shop. 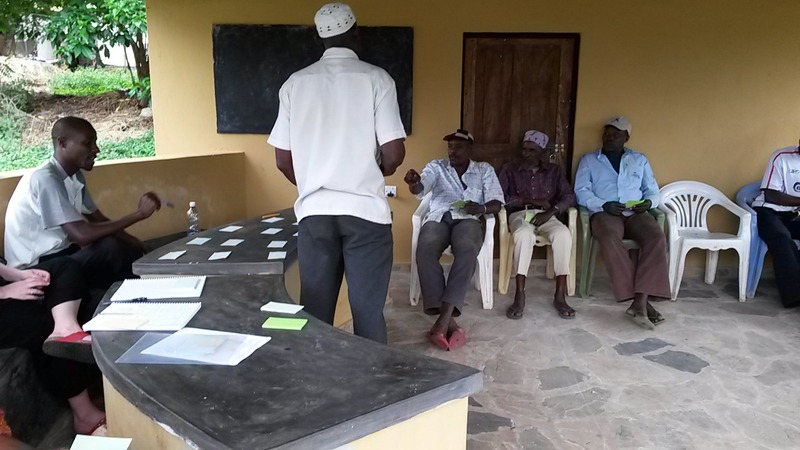 I’ve been doing fieldwork in Kenya trying to evaluate the impact of some aid funded projects that had been directed at artisanal fisheries on Kenya’s coast. As part of the evaluation the communities were keen to take us out snorkelling on their reef to show us the progress they’ve made. Shucks – guess someone has to do it :-). So Hamid took us out snorkelling on his dhow and then we undertook some focus group meetings using participatory methods to get some evidence on the impact of the project. After the meeting he approached me and summoned me into a darkened room. In Kenya the adventure always starts when random people summon you into darkened rooms after community meetings. ALWAYS! The sneaky beggar had spotted the trousers I was wearing had been made out of kanga hadn’t he? He laid out a series of lovely fabrics for me to coo over. He said he’d seen my trousers and knew I was a tailor and that I’d appreciate buying some fabric from him. Bugger. He was totally right. So yet again I bought more fabric. As my sister has said I’m saving Africa one step at a time, one pretty roll of fabric at a time. I’m practically Bono and Bob Geldoff rolled into one. At least that’s my excuse and I’m sticking to it. 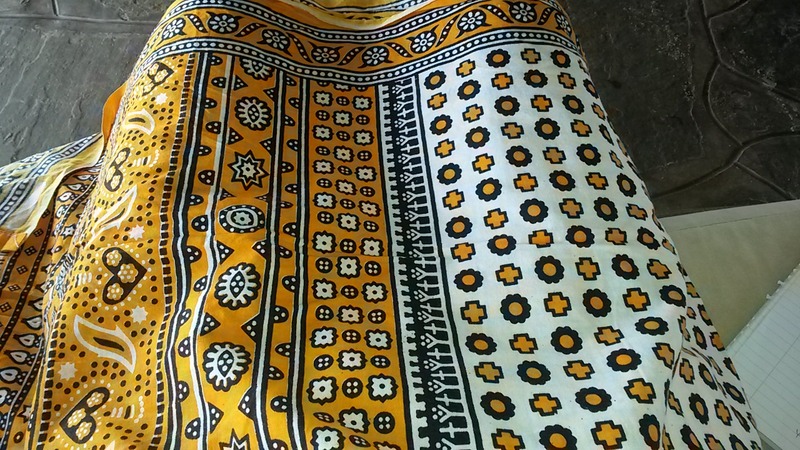 Read on if you want to know more about Kanga, Kikoy and Kitenge the Kenyan (and largely East African) traditional fabrics. I like kangas for making clothes with. 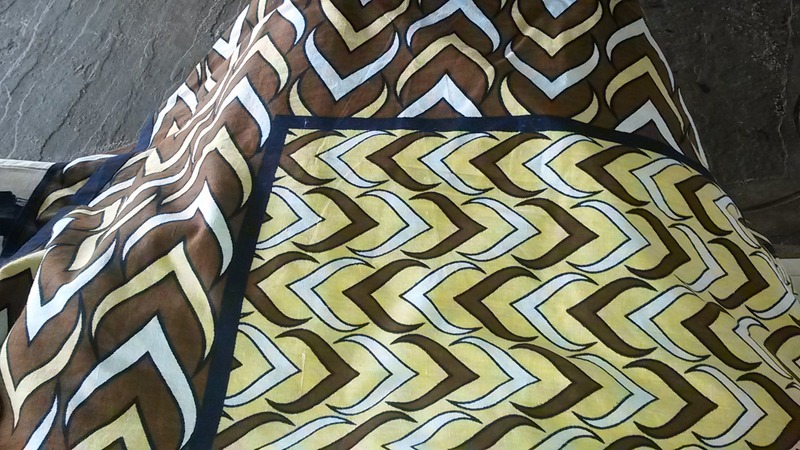 It is generally 100% cotton with batik prints and you get such a variety of colours. Generally they come in 3 yard lengths. 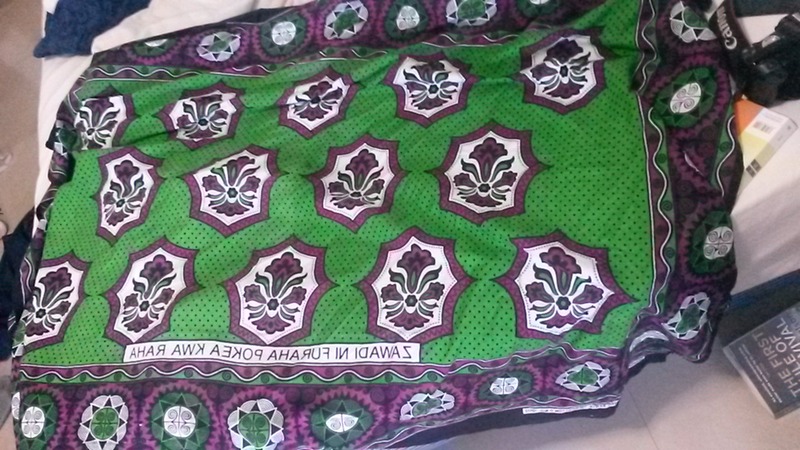 The ladies round here tend to wear 2 kangas in the same print – 1 for the head and 1 for the skirt. 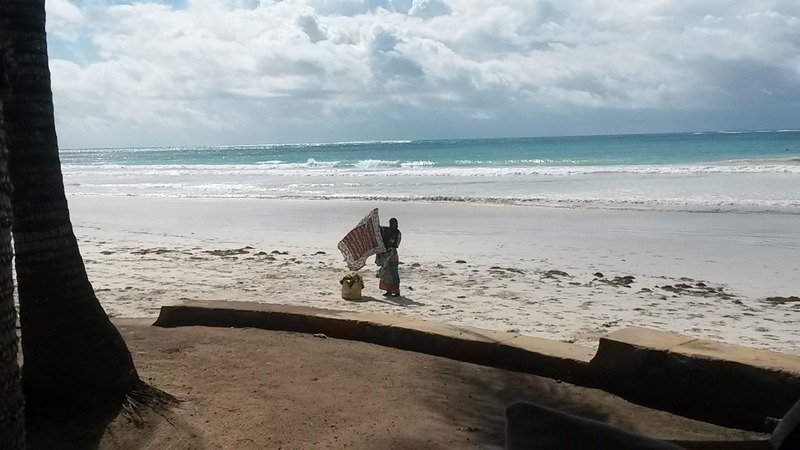 Kitenge are not very common here on Kenya’s coast. I think they are more common in central and western Kenya. Certainly the fabric I got in Uganda has a similar weave and texture to it. They are good for clothes since they don’t have the borders a kanga has. However its a very lose weave so you’ll often need to line it if making clothes. Not entirely sure what I’m going to do with my loot – not entirely sure what I’m going to do with a lot of the things in my stash. 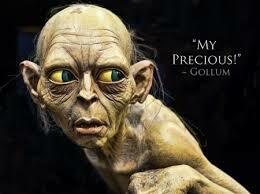 Does make me feel like Golum and that I should sit stroking it whispering ‘My precious’ over and over again…. That green print is lovely! Yes but what to do with it?? Thoughts on this post are (a) your job sounds way more interesting than mine and (b) I am horribly envious of your fabric stash which must be amazing! Seriously though, I really enjoyed reading this and learning something new. Yes 90% of the time I’m sat in an office but my few brief forays into the field are what I live for. The trouble with blogging is I can’t hide all my purchases from my husband! I think word got out about this crazy mizungo buying fabrics as another tenacious lady turned up half an hour later! I think your plan for the economic rehabilitation of Africa is very commendable indeed! And in my own small way I will contribute too by strengthening Anglo-African business relations in the import-export fabric trade when I’m in London next. Just to add a little bit of a continental perspective too 😉 ! Exactomundo. The fabric you’ll buy in London is likely to be west African and I’m buying east African so between us we’re doing a very good job. Selfie high 5! Those are gorgeous fabrics! They would have been impossible to resist so it would have been a waste of your time to try. Have fun making something glorious from them. I love it when people validate my shopping habits! Those fabrics are lovely – I have a similar pledge to only buy fabric as a souvenir (this is not proving successful). It’s also really interesting to hear about your work – I work for an environmental charity so your blog is a great combination of my work and hobby! Ooh do you think we’re in the same network? 7 degrees of separation and all that!